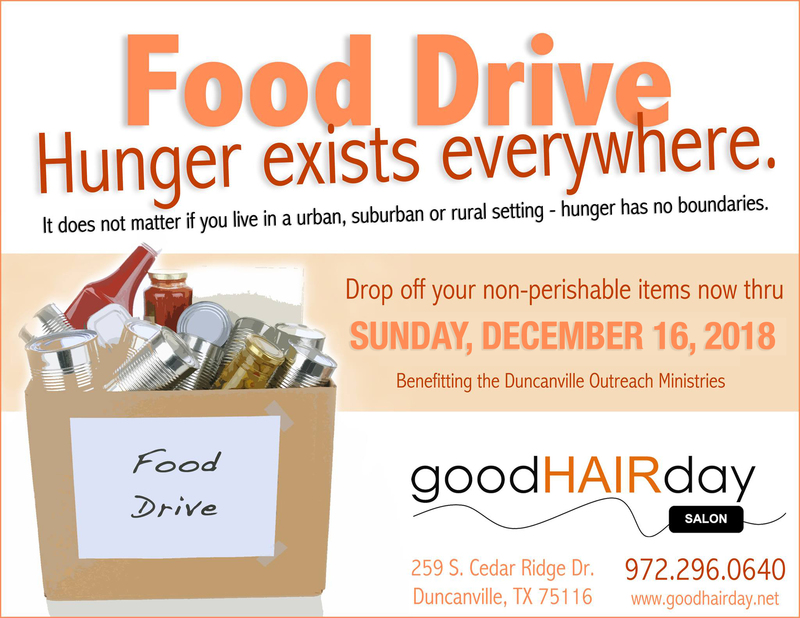 This holiday season we are collecting non-perishable items for the Duncanville Outreach Ministries’ Food Pantry. Hunger exists everyday right in our very own communities! Please help us to feed families this holiday season by participating in our food drive!